in South Boston on Sunday, March 6th at noon. Participants competed for great prizes including JetBlue flights for best costume and biggest fundraiser and raised more than $43,000 to support free events and programs on the region’s public from Nahant to Nantasket this summer as part of Save the Harbor and DCR’s Better Beaches Program. Tiffany Spearman of South Boston, splashing for Youth Enrichment Services, raised more than $4,000 to win best fundraiser. 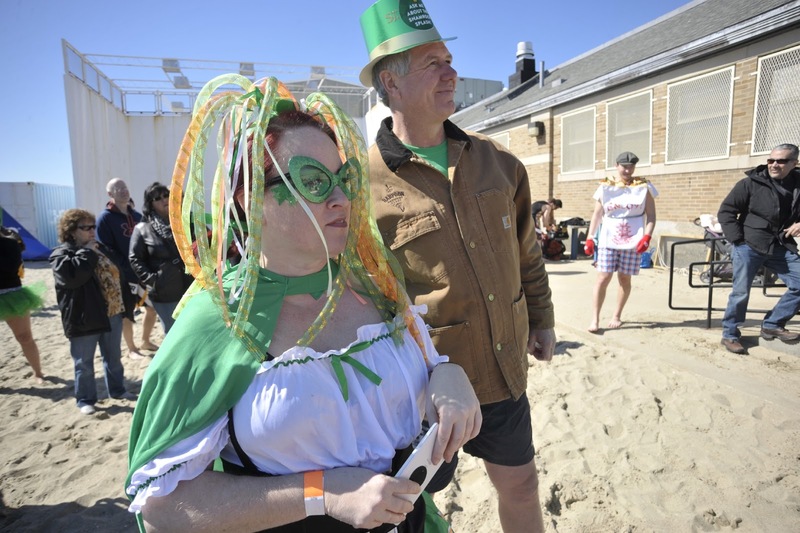 Jane Kepros of East Boston, splashing for Eastie's beaches as Lobster Gal and Joe Skahan of Salem, splashing for Lynn's beaches as Kilt Guy won first prize for best costumes. Winners received round trip flights on JetBlue Airways. Top Row: Fred Ahern, Director of the BCYF Curley Community Center, Donnie Todd, Corporate Social Responsibility Liaison at JetBlue Airways, Tiffany Spearman of Y.E.S., Jessie Cox, Director of Harpoon Helps, Dan Kenary, Founder and CEO of Harpoon Brewery and Bruce Berman of Save the Harbor/Save the Bay. 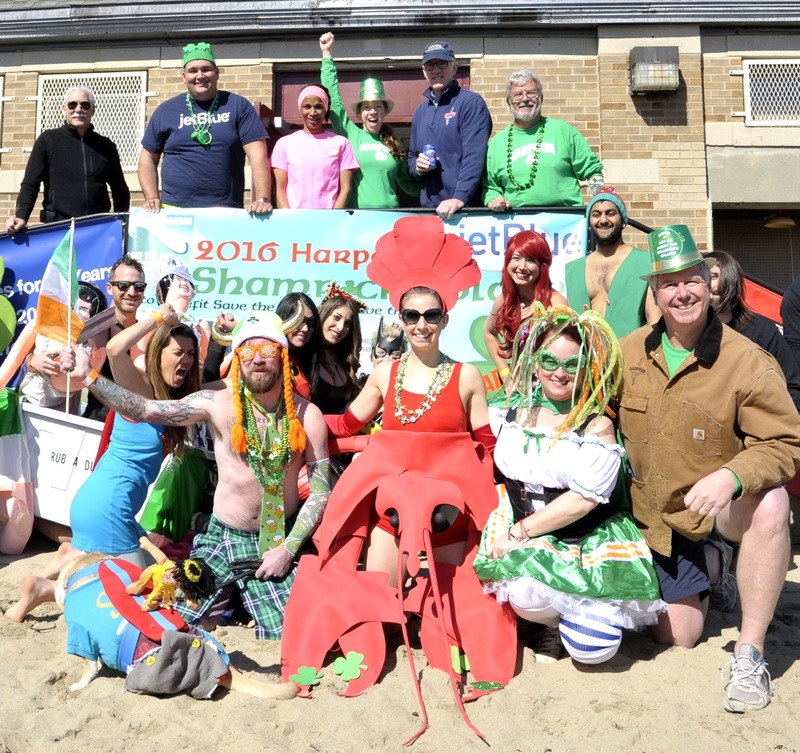 Front Row: Joe Skahan of Salem as Kilt Guy and Jane Kepros of East Boston as Lobster Gal won prizes for best costumes, judged by Kennedy Elsey of Mix 104 and Charlie Storey, President of Harpoon Brewery. Save the Harbor/Save the Bay began the tradition in 2011 as the Harpoon Helps Cupid Splash, a cold-water "plunge and pledge" fundraiser to raise money to support free Better Beaches events and programs on the region's public beaches from Nahant to Nantasket. In 2015, with the support of the legislative members of the Metropolitan Beaches Commission and the Department of Conservation and Recreation, Save the Harbor secured additional funds to support the Better Beaches Program. "At JetBlue, two core pillars of our corporate social responsibility platform are youth/education and the environment. We are delighted to help raise funds and awareness for youth and beach programs in partnership with Save the Harbor/Save the Bay. 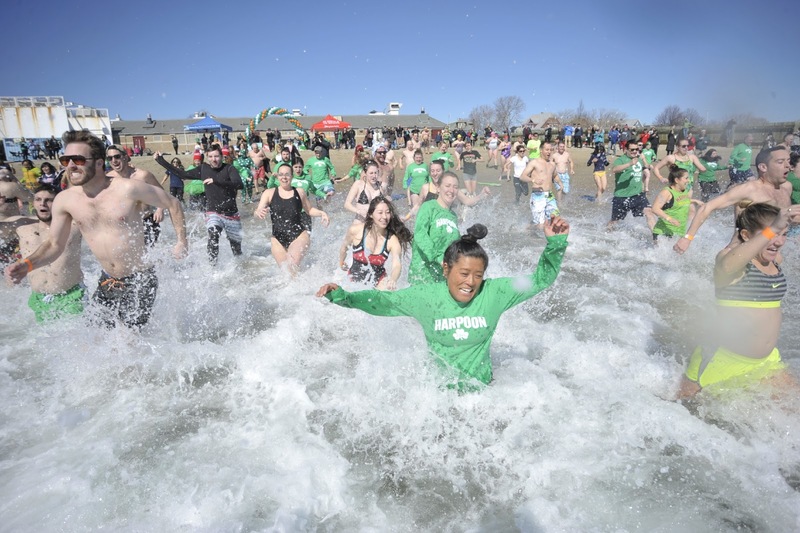 This year's Harpoon Shamrock Splash perfectly aligns with our focus," said Ronda Ivy-McLeod, Northeast regional marketing manager for JetBlue. "As more than 3,000 JetBlue crewmembers call Boston home, we cherish our harbor and proudly support Save the Harbor/Save the Bay and the work they do on the region's public beaches." Better Beaches Program Grants range from $500 - $10,000, with a typical grant of $3,500. In rare cases, larger grants may be considered. Past events have included concert series, sand- sculpting competitions, campfires, art festivals, neighborhood beach parties, and family reading and movie nights on the beach. 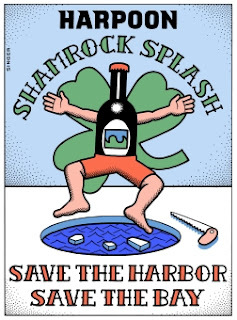 Save the Harbor would like to thank Harpoon Brewery, JetBlue Airways, and all the splashers and donors who made this year's Harpoon Shamrock Splash our biggest and best ever. We would also like to thank our foundation funding partners The Boston Foundation, the Richard Saltonstall Charitable Foundation, the Harold Whitworth Pierce Charitable Trust, our corporate sponsors Harpoon, JetBlue, Comcast and National Grid and Metropolitan Beaches Commission Co-Chairs Senator Tom McGee and Representative RoseLee Vincent and the legislative and community members of the Commission, the Baker-Polito Administration and our partners at the Department of Conservation and Recreation for making this great program possible. For more information about Save the Harbor/Save the Bay, visit their website at www.savetheharbor.org and like or follow savetheharbor on Facebook and twitter. A Spectacular Summer on Your Beach! Save the Harbor/Save the Bay and the Department of Conservation and Recreation (DCR) are now seeking proposals from organizations in Lynn, Nahant, Revere, Winthrop, East Boston, South Boston, Dorchester, Quincy and Hull to be considered for the Better Beaches Program grants. The grant program will support free beach events and activities at the region’s public beaches this year. Funds for the Better Beaches Program are provided through appropriations made by DCR to support summer programming, and the proceeds of the Harpoon Shamrock Splash, which will be held on Sunday, March 6, 2016 at the BCYF Boston Center for Youths and Families Curley Community Center at M Street Beach in South Boston. 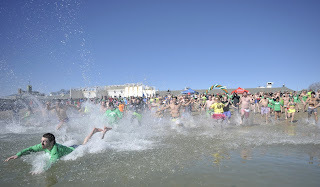 You can register today at www.shamrocksplash.org. Last year, Save the Harbor and DCR awarded grants to 35 organizations in nine waterfront neighborhoods and beachfront communities from Nahant to Nantasket, including Lynn, Nahant, Revere, Winthrop, East Boston, South Boston, Dorchester, Quincy and Hull. The Better Beaches Program leveraged nearly $650,000 in cash and in-kind support from local businesses and government, including over 8,500 volunteer hours that were utilized to support the 70 free beach events and programs. More than 500,000 people attended the free beach events in 2015. 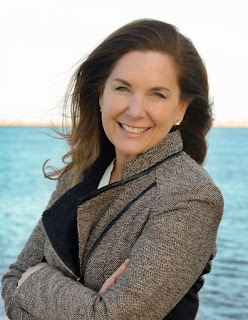 "Our waterfront and our beaches are remarkable assets with the power to connect our communities. 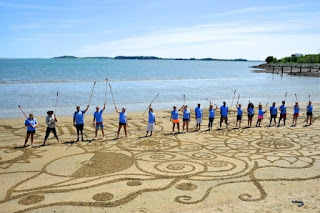 We have heard again and again how modest investments in free events and programs have put these beaches to work and have provided expanded opportunities for residents, businesses and tourists," said Senator Thomas M. McGee, Co-Chair Metropolitan Beaches Commission, Lynn and Nahant. “Save the Harbor would like to thank our foundation funding partners The Boston Foundation, the Richard Saltonstall Charitable Foundation, the Harold Whitworth Pierce Charitable Trust, our corporate sponsors Harpoon, JetBlue, Comcast and National Grid and the hundreds of participants and donors to the Harpoon Shamrock Splash for their support.” said Bruce Berman, Director of Strategy and Communications for Save the Harbor/Save the Bay. To apply for a Better Beaches Program Grant, download an application at http://savetheharbor.org/Content/2016_BBP_RFP.docx and return it by email to info@savetheharbor.org by April 15, 2016. The Better Beaches Program Grants Committee will review all proposals and notify you of their decisions in May. 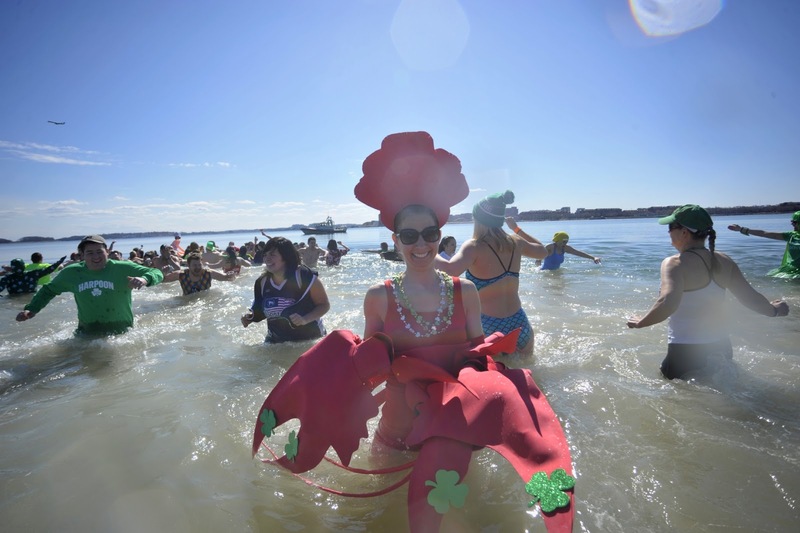 Why Are We “Splashing” Into Boston Harbor on Sunday, March 6th? 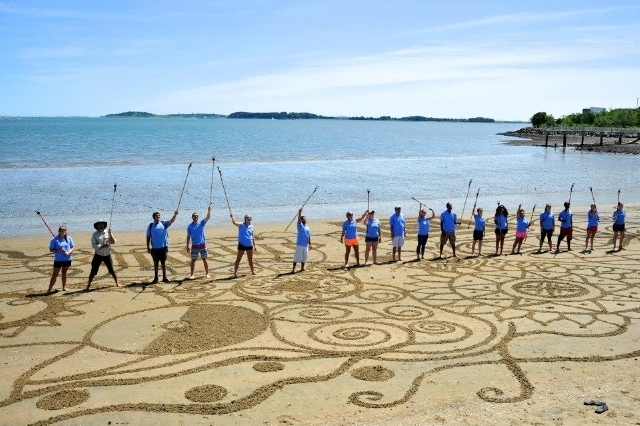 To have some fun and raise funds for free beach programs from Nahant to Nantasket. Lynn, Nahant, Revere, Winthrop, East Boston, South Boston, Dorchester, Quincy and Hull. This Sunday, March 6th, hundreds of costumed beach lovers will plunge into the icy waters of Boston Harbor at this year’s Harpoon Shamrock Splash for Save the Harbor/Save the Bay at the BCYF Curley Community Center in South Boston at noon. Participants, who compete for great prizes including JetBlue flights for best costume and biggest fundraiser, have already raised more than $30,000 to support free “Better Beaches” events and programs from Nahant to Nantasket. 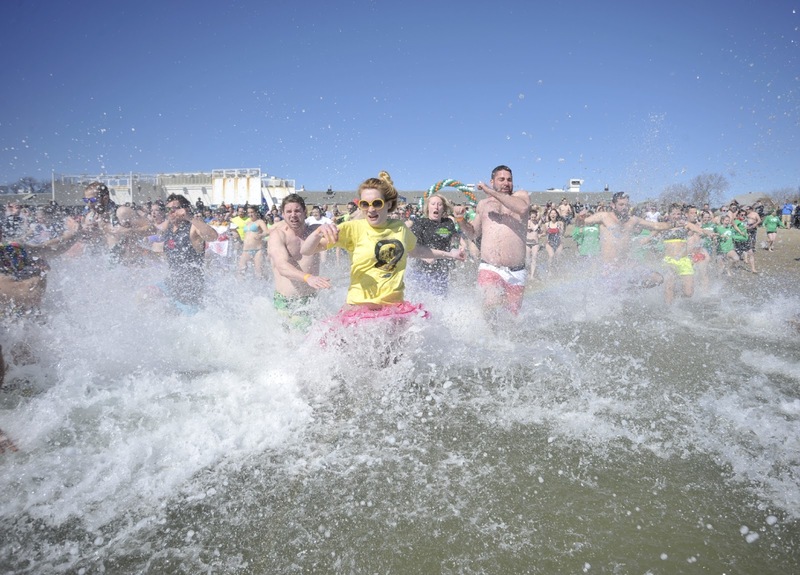 Save the Harbor began the tradition in 2011 as the Harpoon Helps Cupid Splash, a cold-water "plunge and pledge" fundraiser to raise money to support free Better Beaches events and programs on the region's public beaches from Nahant to Nantasket. In 2015, with the support of the legislative members of the Metropolitan Beaches Commission and the Department of Conservation and Recreation, Save the Harbor secured additional funds to support the Better Beaches Program. 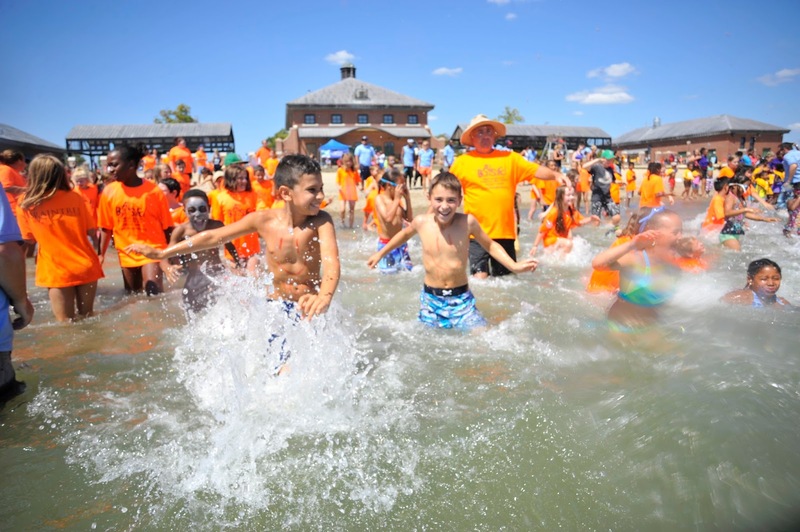 As a result, last year Save the Harbor and DCR awarded more than $200,000 in grants to 35 organizations in nine waterfront neighborhoods and beachfront communities to support 70 free concerts, family beach festivals, competitive swims, movie nights, campfires, story telling and art on the shore in Lynn, Nahant, Revere, Winthrop, East Boston, South Boston, Dorchester, Quincy and Hull. Save the Harbor would like to thank our foundation funding partners The Boston Foundation, the Richard Saltonstall Charitable Foundation, the Harold Whitworth Pierce Charitable Trust, our corporate sponsors Harpoon, JetBlue, Comcast and National Grid and the hundreds of participants and donors to the Harpoon Shamrock Splash for their support. We would also like to thank Metropolitan Beaches Commission Co-Chairs Senator Tom McGee and Representative RoseLee Vincent and the legislative and community members of the Commission, the Baker-Polito Administration and our partners at the Department of Conservation and Recreation for making this great program possible. and like or follow savetheharbor on Facebook and twitter. See you on the beach on Sunday. Registration opens at 11:00. The Splash will take place at noon.